The Gospel of Matthew tells us in chapter 27 the following verses…”33 They came to a place called Golgotha (which means “the place of the skull”). 34 There they offered Jesus wine to drink, mixed with gall; but after tasting it, he refused to drink it. 35 When they had crucified him, they divided up his clothes by casting lots. 36 And sitting down, they kept watch over him there. 37 Above his head they placed the written charge against him: THIS IS JESUS, THE KING OF THE JEWS. The Core is on every Friday night at 7.07 pm. Join us we celebrate Jesus with games, food, friends and great times. 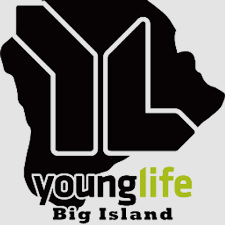 Young Life, Kea’au Club is running strong. Every Tuesday during the school year we start at 7:07 pm.. Check us out at 16-647 Old Volcano Road, every Tuesday. PCC Womens’ Ministry exists to support each and every woman through our own unique journeys into LIFE. Jesus said He came to give all who believe in Him, LIFE on this earth and in heaven. Call our church office for more information on getting involved with us and our ministry events. Please contact the church office at (808) 966-9622 for more information.